New York: Simon and Schuster, 1953. First edition. Octavo. Fine in a fine dust jacket with some very minor creases to the spine. 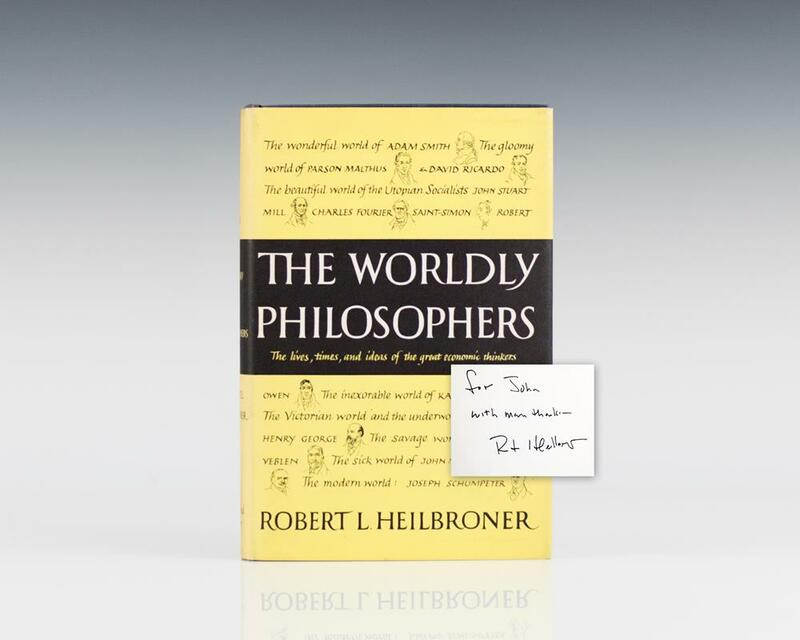 Inscribed by the author to John Kenneth Galbraith, “For John, with many thanks Robert Heilbroner.” Galbraith called The Worldly Philosophers a “brilliant achievement handled nearly to perfection. A wonderful association between these two economists. A classic economic text that has sold more than 4 million copies worldwide. Housed in a custom half morocco clamshell box. 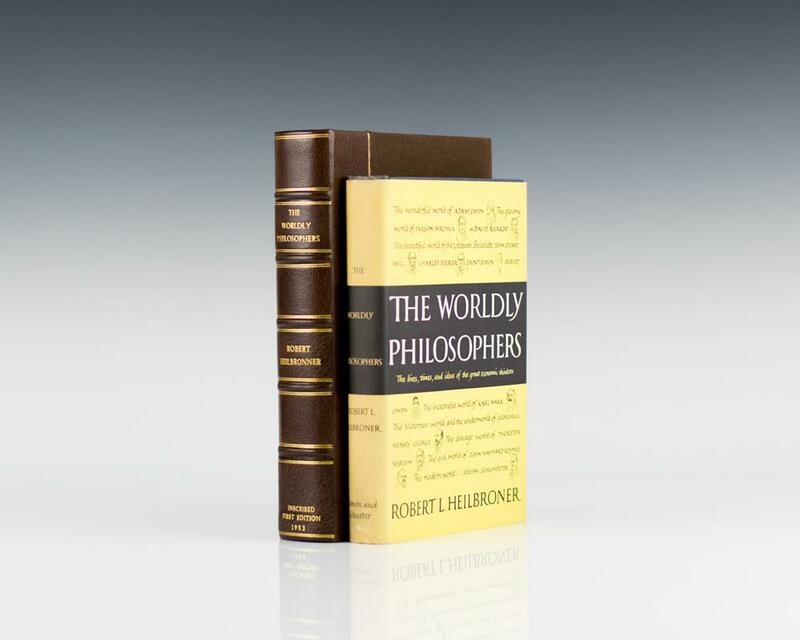 The Worldly Philosophers elucidates historically popular economic theories. The author's ability to do so with ease and effectiveness is a mark of its appreciation, and it remains an indispensable text for students of economics today. John Kenneth Galbraith stated "[i]f ever a book answered a crying need, this one does. Here is all the economic lore most general readers conceivably could want to know, served up with a flourish by a man who writes with immense vigor and skill, who has a rare gift for simplifying complexities." Galbraith's approval is all the more relevant considering that this copy was inscribed to him.